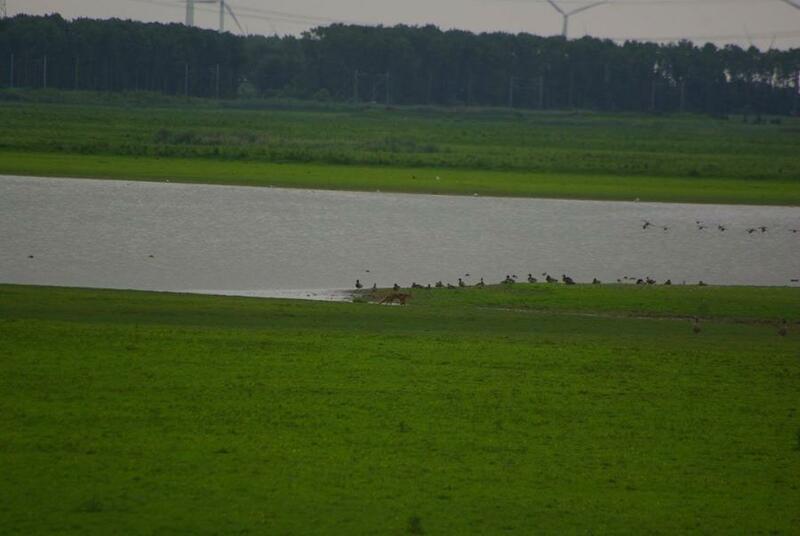 Since March 2018 we have been taking action on the misery that is called the Oostvaardersplassen in the Netherlands. 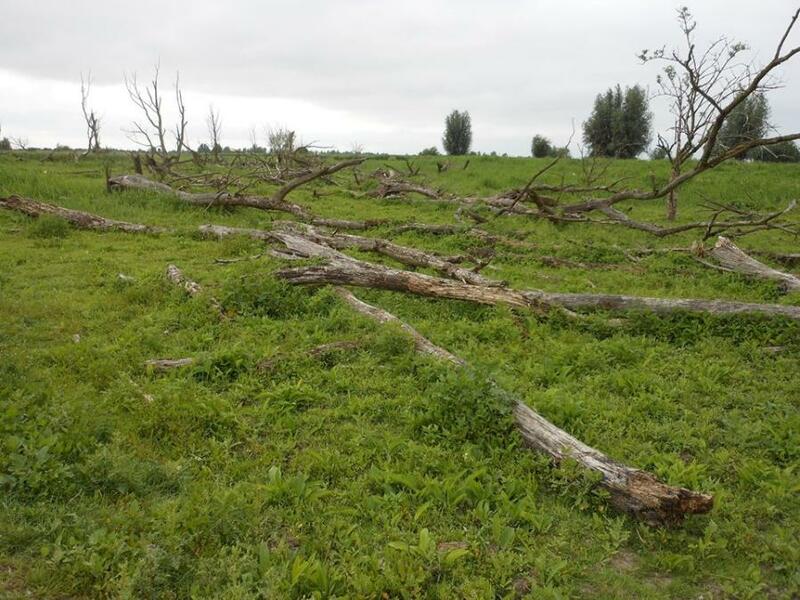 For more background information please read our press release and the information page Oostvaardersplassen Holland that you can find on this site of Forests From Farms. We decided to have a look for ourselves so that we would better know what was happening there. With our caravan and our two fellow travelers, Pindy the parrot and Sebright hen Henrietta, we left Friday, June 1 from the Vendée France, with a stopover in Douai, direction Almere camping. 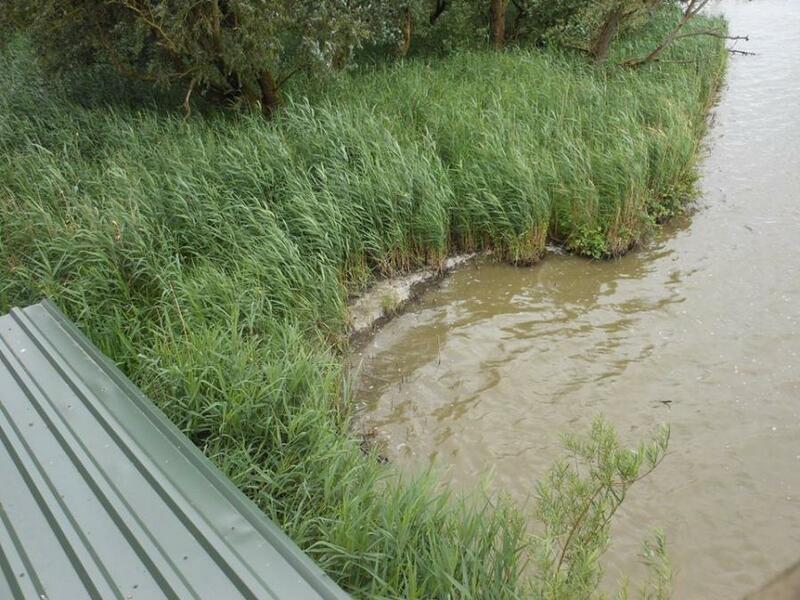 On Monday, June 4, we had agreed with a number of others to visit the area, under the guidance of someone who has been involved with the OVP for about ten years. 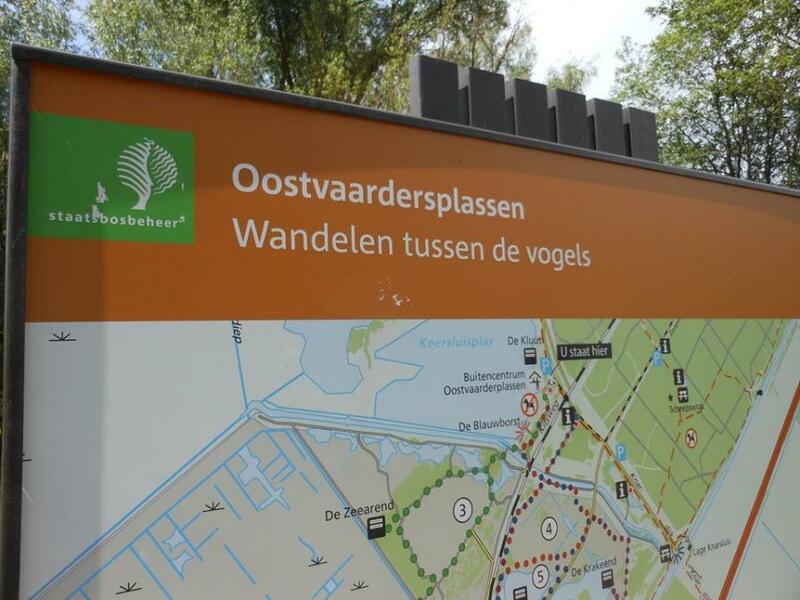 Our request to Staatsbosbeheer (the forest manager) to show us around had previously been rejected. 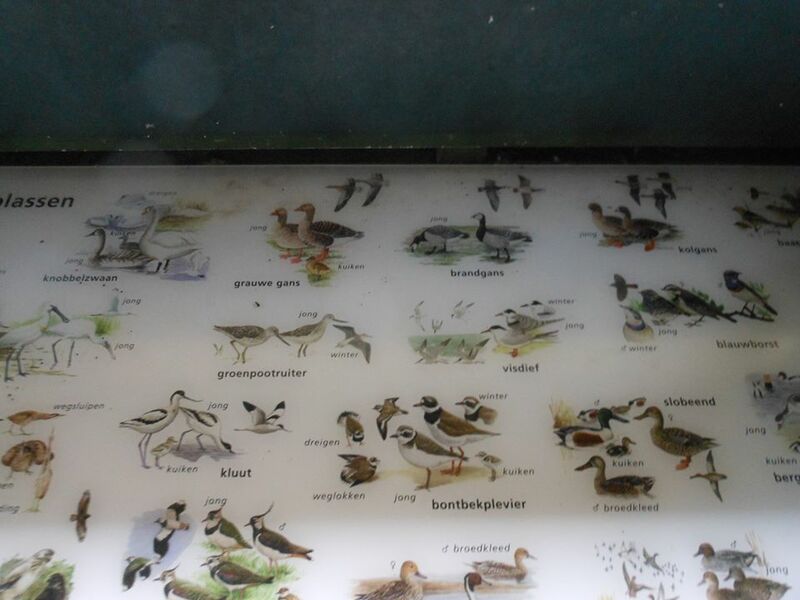 "The Oostvaardersplassen is an outstanding bird area." From Oostvaardersdijk and Knardijk you can study the Eurasian spoonbill, sea eagle, cormorant, egret, acrocephalus, black stork and many other bird species The dikes are also called "bird boulevards". Foxes, deer, hares, bats, and countless insects found the natural reserve on their own. Staatsbosbeheer, a governmental agency that manages the nature reserves of the Netherlands, has decided to give nature a hand and set Heck cattle, Konik horses and red deer out to graze freely. Much of the nature reserve is closed to the public, so that nature can take its course in an undisturbed manner. Still, in the part that is accessible to all, you can admire all flora and fauna, including primary forest, reed beds, ponds and large herbivores. " The contrast with reality is huge. All the photos of our walk are on facebook. Below are some of the most striking. And in the video below you can see the emptiness and silence of the area. 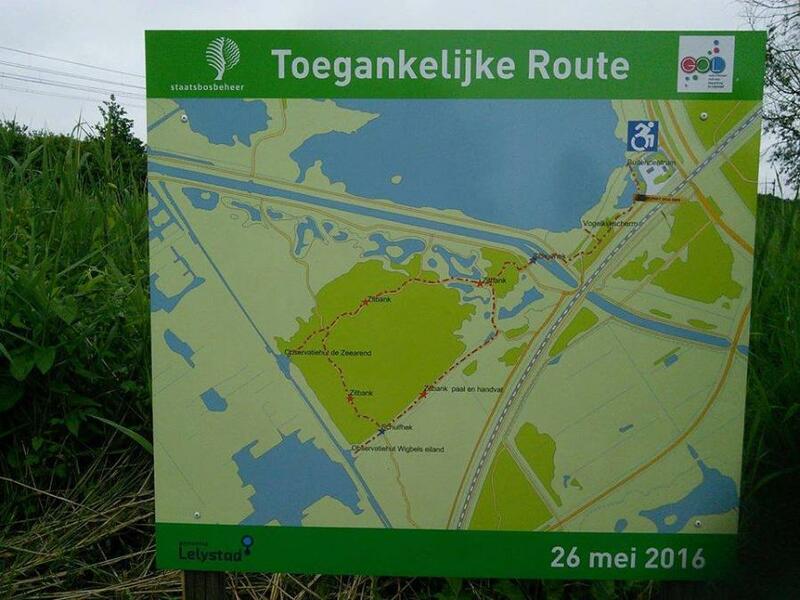 We started our walk from Buitencentrum OVP, towards the bird-watching hut "de Schollevaar". 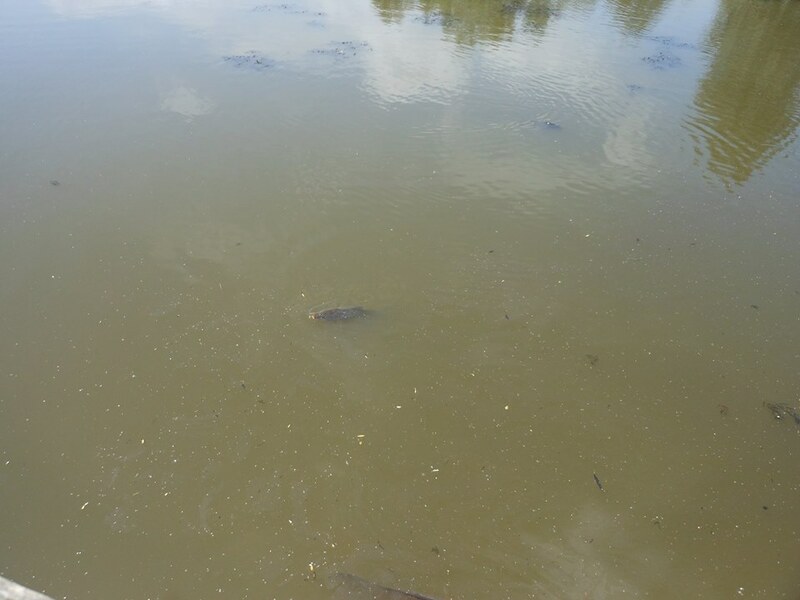 The first moment of surprise was the dirty water in the ponds/lakes, filled with carp. Later, on the way back, we saw a film of oil on the water. Visitors can walk to various points of interest / viewpoints via paths through the area. Right at the beginning of the path are some signs: the first is a kind of map from May 2016 with the accessible route. The area indicated with the medium green color on the map should be forest. Soon we found out that besides some newly planted saplings there is almost no tree left standing. What we saw looked more like the atomic landscape of Hiroshima: everywhere we saw dead stumps and fallen trees with occasionaly some dead trees still standing up. The second sign was Walking between the birds. This too quickly turned out not to be the truth. It was remarkably quiet for a nature reserve. Apart from the many geese, the cormorants, some ducks, one heron and some finches, there were almost no birds to be seen or heard. A stark contrast with the birds that woke us up that morning at the campsite in Almere. Practically no insects, except for one beetle, some dead caterpillars on the ground towards the Schollevaar, a few butterflies and dragonflies. Also some young toads. The area is sterile and monotonous. Arriving at the Schollevaar the sight of the dirty water with a foamy scum in places surprised us again. In the hut of de Schollevaar lookout there are six large signs with hundreds of species of birds. We saw certainly numerous Cormorants and again many geese and a bunch of swallows near their nest .... But otherwise nothing to see of the other birds that are mentioned on the signs. On the way to the next hut "The sea eagle" that looks out over the main area of grassland where you can see the grazers walking, we noticed again how few animals there were and how quiet it was. No rabbits or hares, no ants, no cobwebs, no grasshoppers etc. We walked about 8 kilometers and spent almost 4.5 hours in the reserve. So we really took our time. It was quiet, worn out, just green, very few flowers, and every now and then you could smell a rotting animal that clearly had not survived the winter. Something you really don't want during a nature walk. But here it is allowed. Here it is possible. Here it is necessary if you believe the ecologists who invented this area. Between the fallen trees grew a lot of weeds such as thistles, ragwort, a lot of reeds, but very little grass. That is not surprising either because the grass is never given the chance to sow again due to the high grazing pressure. 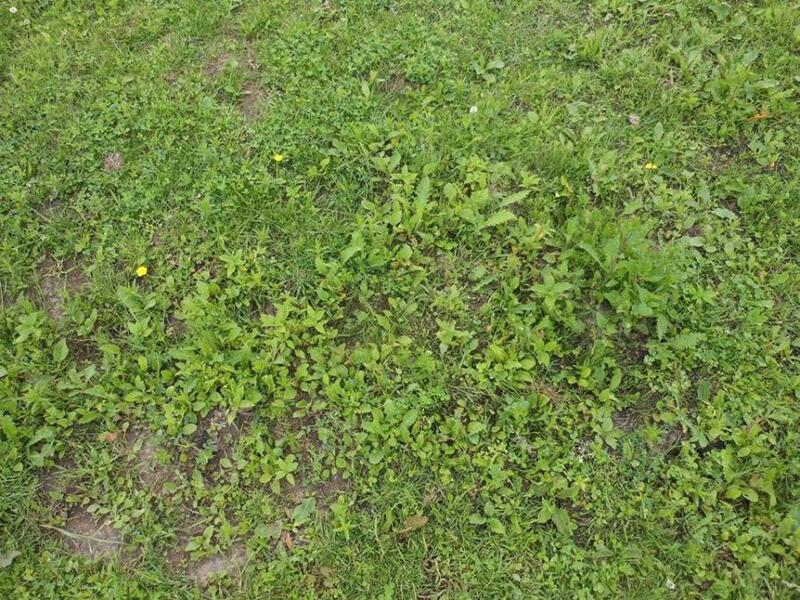 Eventually all the grass will disappear and it will be overrun by weeds that are inedible for the large grazers. Once we arrived at the second hut "De Zeearend" we finally saw some grazers. In the distance you could see large herds of deer running, strangely enough in the opposite direction from where the Staatsbosbeheer vehicle was located. In my opinion, knowing that deer are skittish animals living in small groups and mostly in a woody environment, I found the herds to be too large. There were no babies at all. Only adults. What happened to those little ones we can only guess at. At a certain moment we saw two foxes running in the distance. The photo below has been taken from afar. But you can still see that even these foxes look thin and not healthy. In any case, not as healthy as we are used to seeing them. After leaving the hut "De Zeearend" we soon met a group of about twenty horses. We only saw a couple more during the whole walk. They are clearly used to people because they did not respond to our presence, not even when we stopped, talking, about ten meters away from them. What was noticeable was the distribution of the sexes: only one female. The lack of females is easy to explain: they have to produce babies and feed them which, considering the lack of food, means that they are unlikely to have the reserves necessary to survive the winter. You could see the mare's ribs. During those few minutes that we were there, two stallions started to fight. Imagine living under that stress constantly. 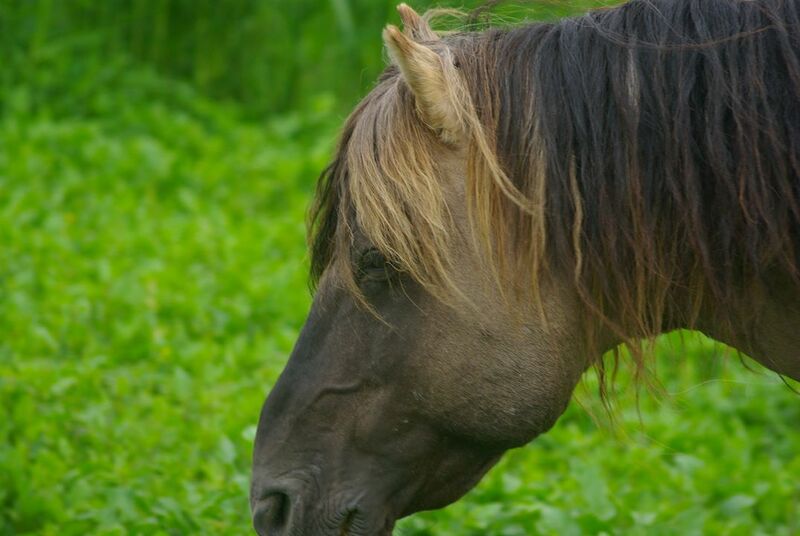 And again there were no babies, which also surprised us a lot because of the photos of the young foals that Staatsbosbeheer published on Twitter in May. Again we can only guess at what happened to these foals. 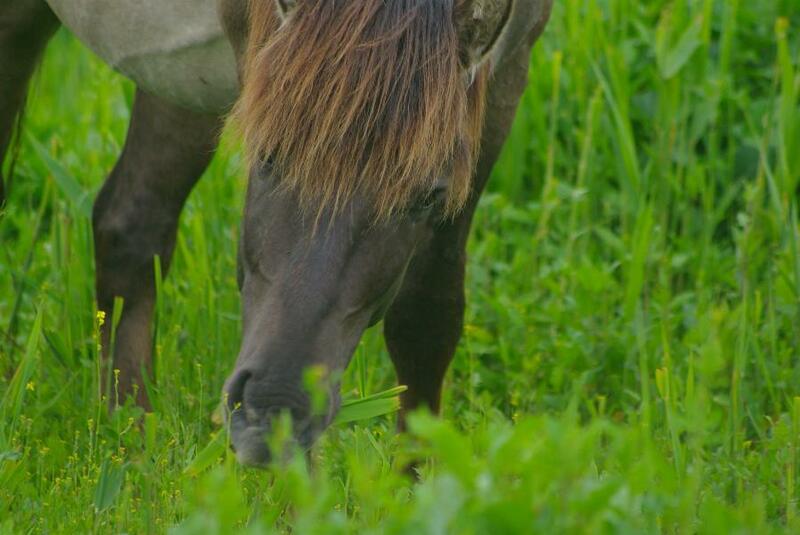 On the picture below you clearly see that the horse does not eat grass but reeds. Farther along the path we came across a single pathetic looking stallion that politely left the path and walked past us to one side. It clearly was injured, with a swelling on its side that probably indicated broken ribs.He did not seem to be afraid. He just did not want the confrontation. There was a sad feeling about the whole animal. His posture seemed defeated, his eyes were dull. A photo series of the stallion can be seen here. The promises made for a visit to the OVP are not fulfilled. The enormous investments to attract tourists and to create recreation is in our opinion, as the area now stands, a waste of money. And even with reduction of the grazers, the area has few opportunities to recover. The disappointment after a visit is great, is huge. Now you will say, tastes differ. But in our opinion the concept of an open landscape has gotten somewhat out of hand. We do not really understand that obsession with openness. Especially because forests, trees, shrubs are a shelter for wildlife, animals and birds. An ecologist should be able to understand this. Everywhere in Europe, farmers are encouraged to replant hedges around their land. Hedges with different shrubs and trees, for the birds, for wildlife, after they had destroyed them all because it was more efficient for working the land. The OVP is unique in the world, they say. Indeed! The OVP is unique in its dullness, in its poverty in terms of fauna AND flora, in its desolation, in its hardness and in the indifference towards sentient animals, of the ecologists, who have come up with this idea. The stark contrast between the welfare state that is called the Netherlands (everything is well organized for the people) and the poverty, playing "Africa" by leaving animals to starve, untreated, to be killed after their service of lawnmowers is unimaginable. That this is possible. In the Netherlands. When we wanted to leave again three days later and we went to pay, the manager of the campsite told us that she did not want anything to do with the Oostvaardersplassen, that the reserve of the Oostvaardersplassen had completely ruined the reputation of Almere and Flevoland, and that they certainly would not recommend tourists to visit the reserve. The OVP has become the secret shame of the Netherlands and it will remain so for a while. In any case we are glad that we have been there and have been able to see it with our own eyes. Now we really understand how bad it is. In the video below you can hear the difference between the OVP and our land at Forests from Farms.